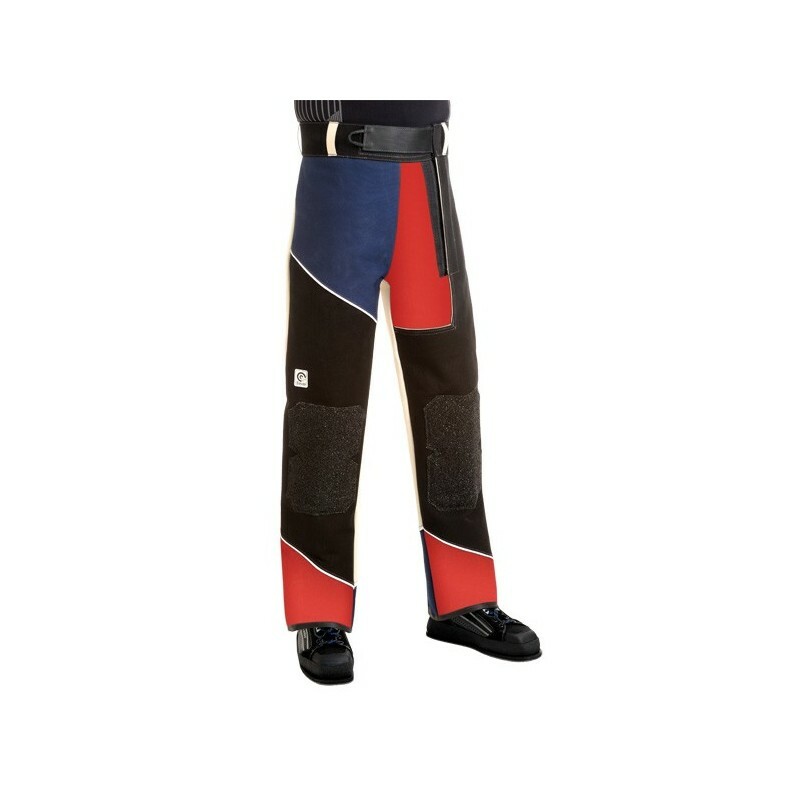 Comfort shooting trousers are made of tough double canvas. There is an oval cut-out with a stretch fabric insert to the left of the crotch (or to the right of the crotch for left-handed shooters). 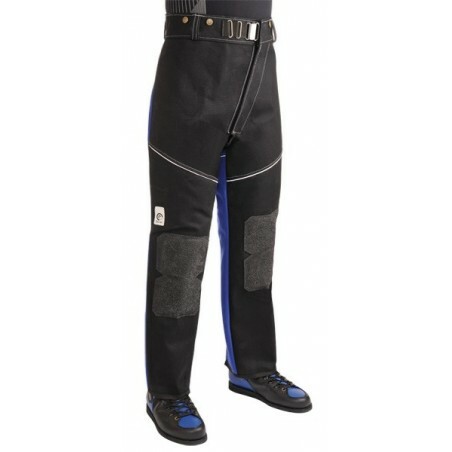 This prevents unpleasant pressure on the shooter's groin and abdomen. Another special feature is the elastic stretch fabric insert on the inside of the left thigh (or the right thigh for left-handed shooters). 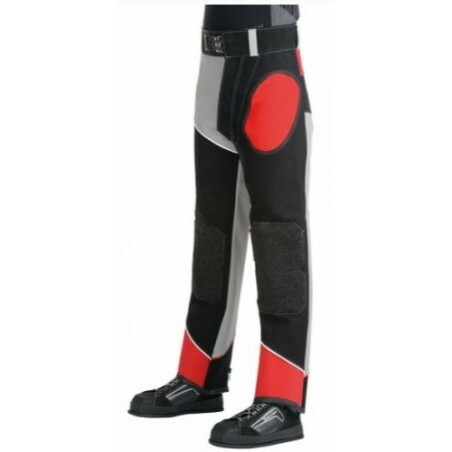 This enables the wearer to spread his legs better and to bend at the knee more comfortably when shooting from the kneeling position. It also makes the trousers easier to put on. 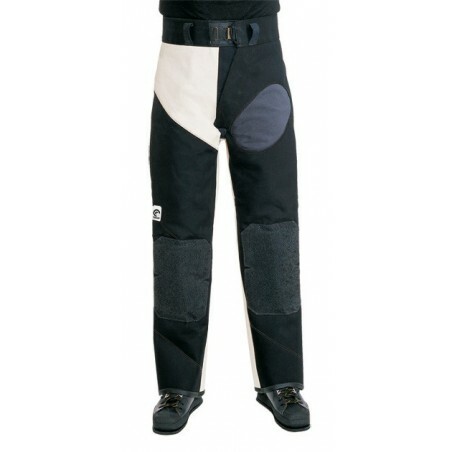 The diagonal Velcro front closure and 5 hook-and-eye fasteners on the waistband give excellent width adjustment. The top model in Sauer's trouser collection is the Comfort Extra. The particular advantage of this model lies in its canvas/ rubber combination which is also used in our top-of-the-range jacket, Advantage Extra. This rubber material is extremely tough and retains its shape for years. 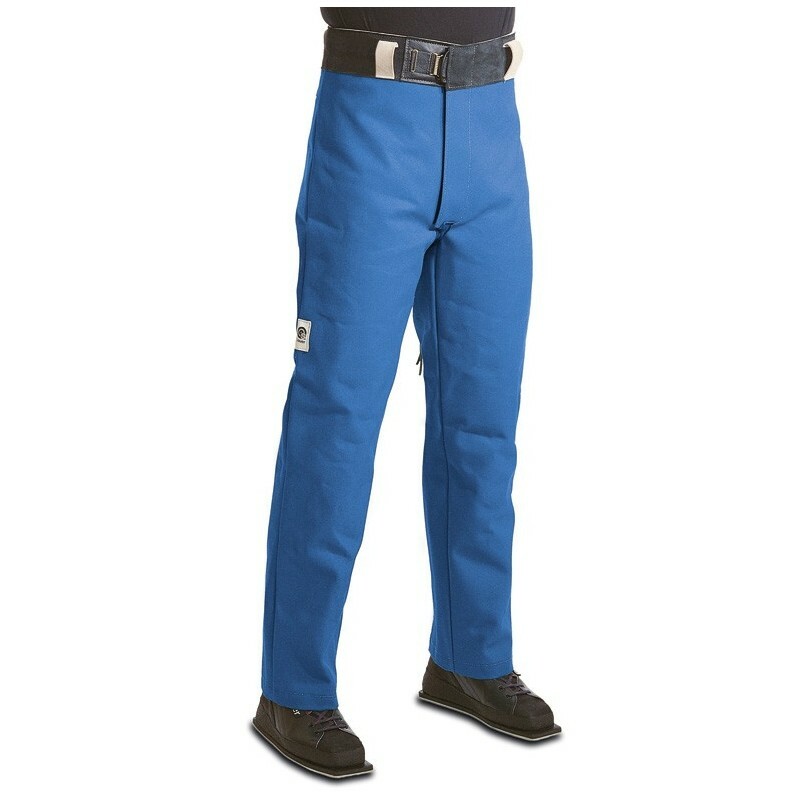 The Comfort Extra trousers are diagonally reinforced with this special rubber material at the loins on both sides and at the seat, providing stability where it is really needed. 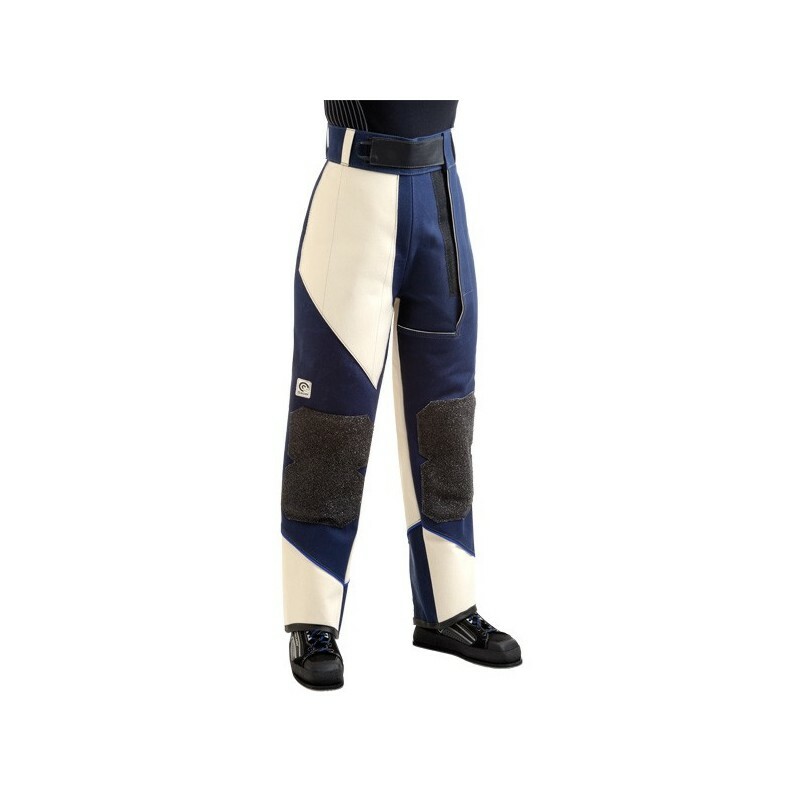 Although they are so robust, Comfort Extra trousers comply with all ISSF rules on stiffness and thickness. 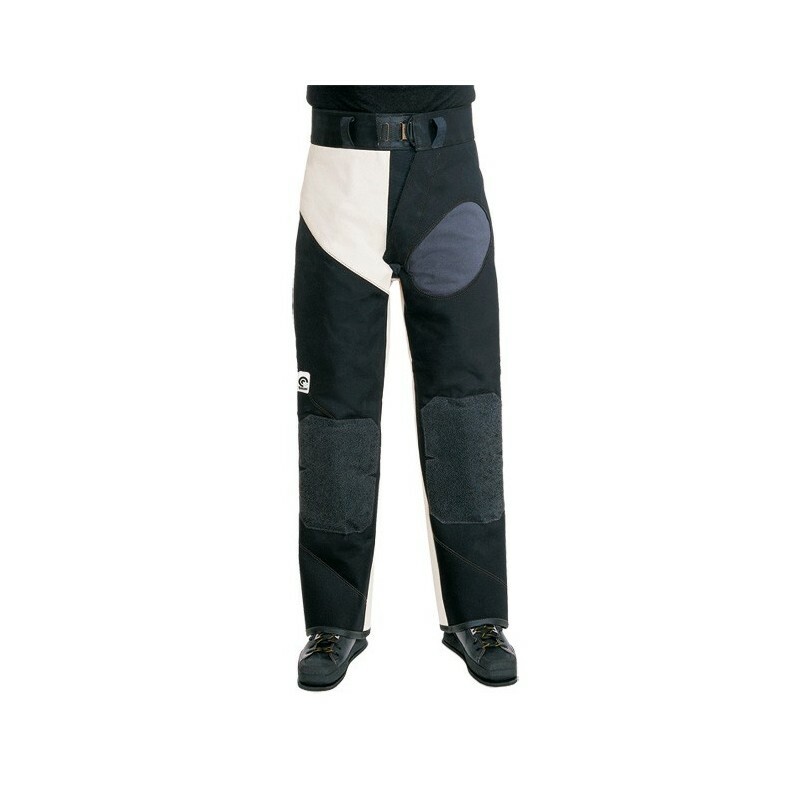 The diagonal Velcro front closure and 5 hook-and-eye fasteners on the waistband give added width adjustment. 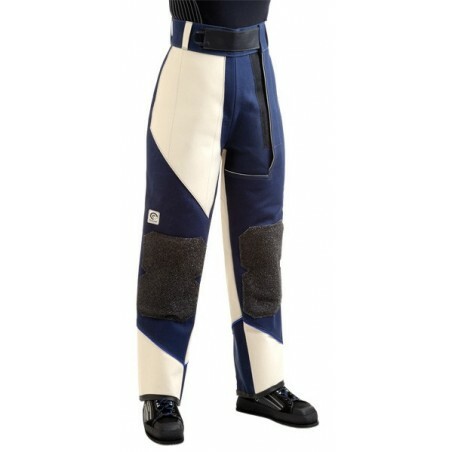 The Coach range of pants from Sauer has been completely redesigned. The principle of offsetting the openings at the sides has been retained but improved in terms of functionality. For example, the new Coach has an adjustable Velcro fastening at the waist. On request, all models can also be fitted with hook fasteners. 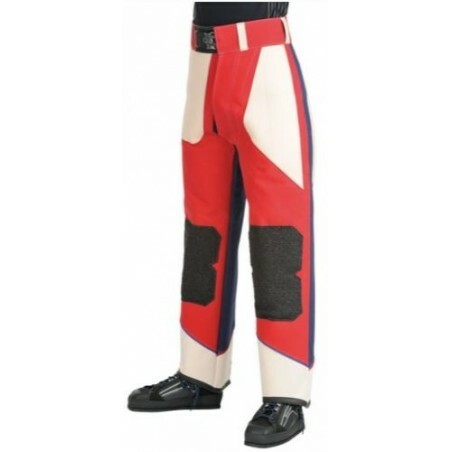 The large opening at the front of the left leg (right leg for left-handed marksmen) with a Velcro fastener makes this garment easy to put on. An even more important feature, however, is the ideal waist size adjustment up to maximum for shooting from a kneeling position. 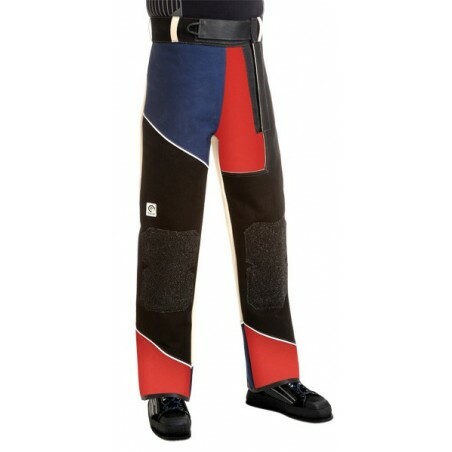 This prevents any pressure on the stomach area when shooting from a kneeling position. In order to obtain ideal material strength, the Coach is made from double-thickness linen. The Coach Extra sports trousers are the top-of-the-range model. For ideal firmness, the Coach Extra is fitted with an especially stiff and durable rubber material on the front on the opposite side to the opening and on both sides of the seat at the height of the upper thighs. The legs are made from heavy-duty linen. 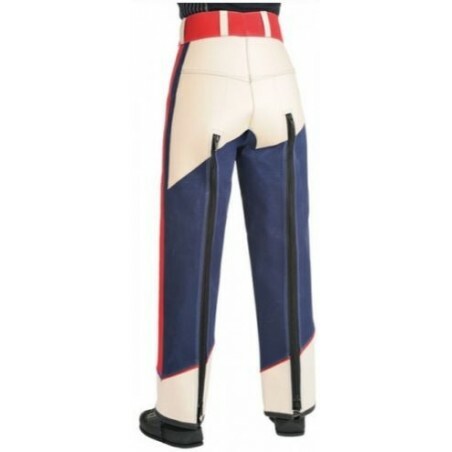 There are also Effect trousers to match the jacket, offering the same reasonably priced quality “Made in Germany”. Similar to the Mod. Comfort, except the additional stretch in the pace and that the anti-slip seat and knee patches are made of rubber. Waist and seat areas are in double canvas, the legs in single canvas. 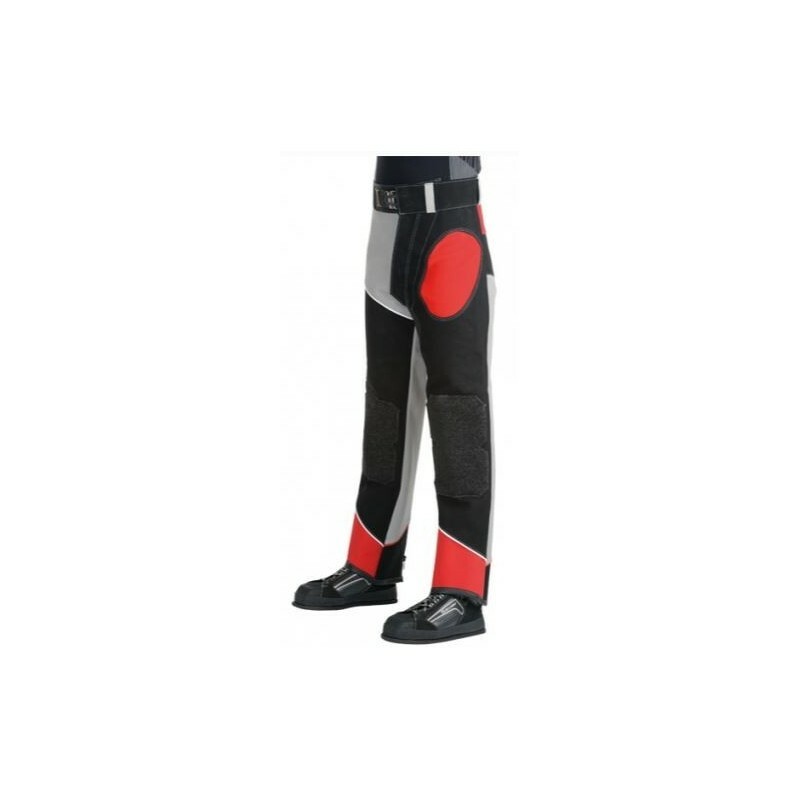 Standing shooting trousers are especially suitable for shooting from the standing position. They have a narrower cut and no knee or seat patches. 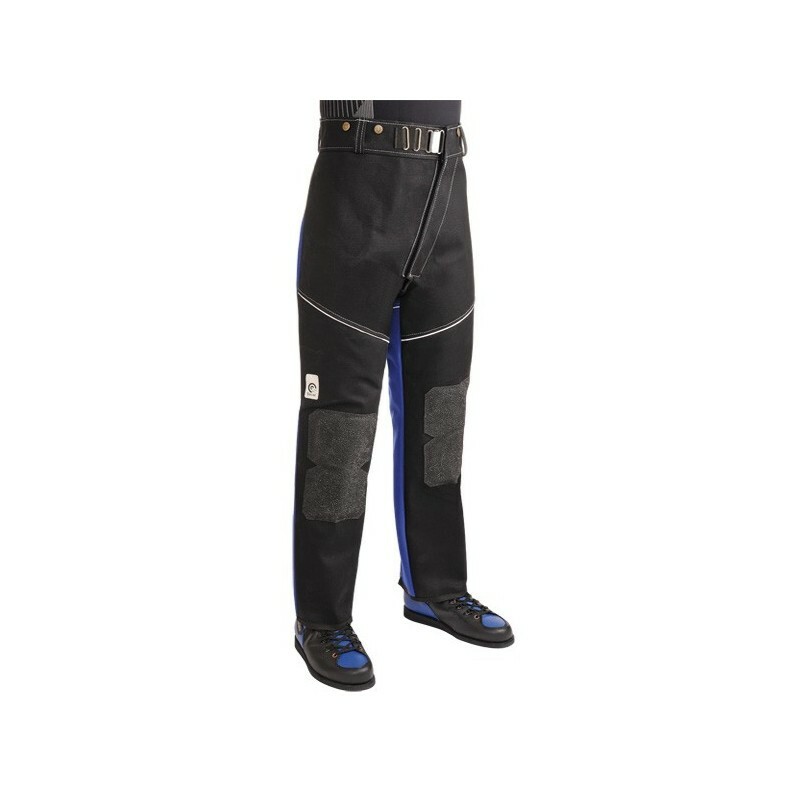 Two-way zip fasteners on the back of each leg make them easier to put on. All the products in the Standard range are both practical and inexpensive. These products are especially suitable for amateur and junior marksmen. 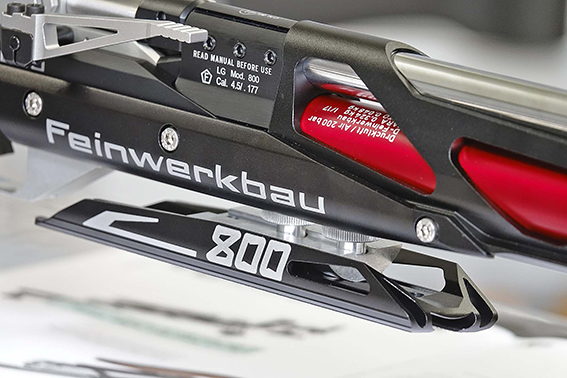 These items also fulfill the technical expectations of sport shooters. In order make these products affordable, this range is only available in standard sizes. 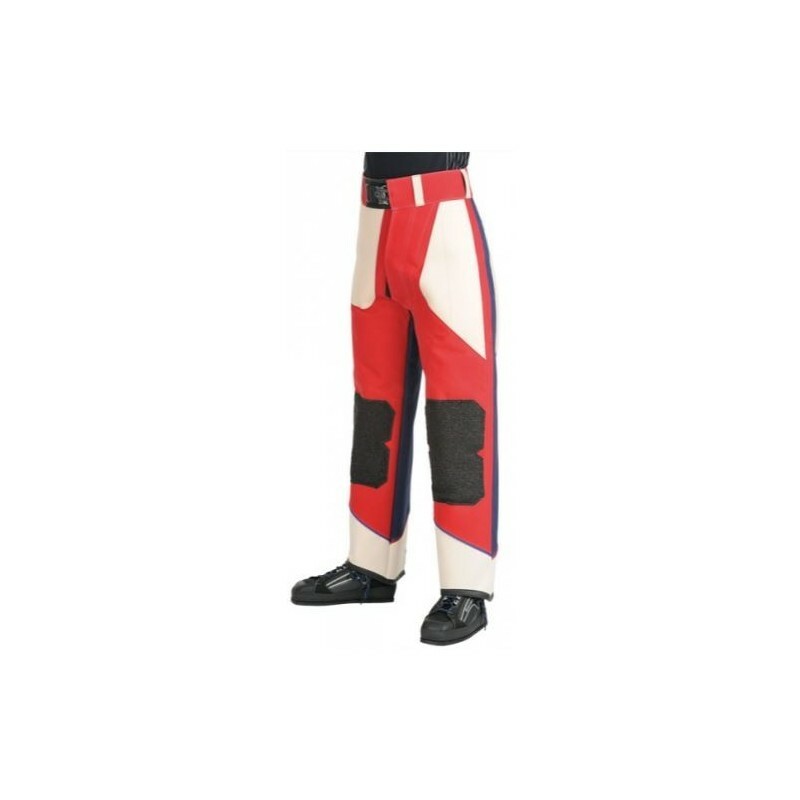 The Standard Mix shooting trousers are likewise made from a coordinated material mix of linen, leather and high-quality Top Grip. 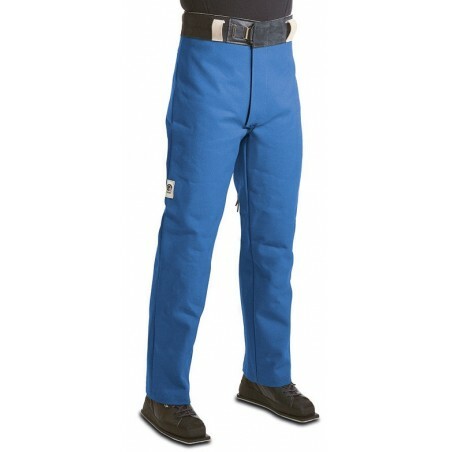 The broad waistband in double-strength canvas is closed with Velcro fasteners running all the way from the crotch to the waist and in addition by an adjustable hook-and-eye closure. The waistband also incorporates belt loops and buttons for braces. 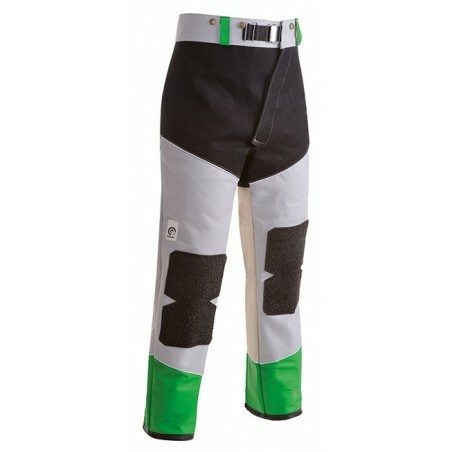 Both knees are fitted with patches crafted from the high-quality non-slip material, Top Grip. 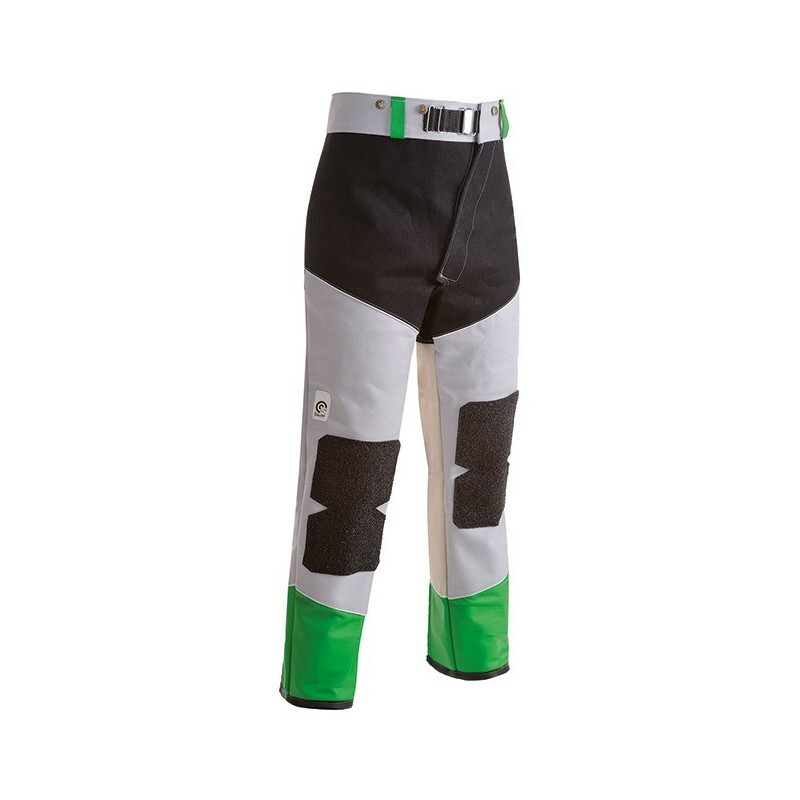 This model of trousers has a two-way zip fastener on each leg running from the bottom of the seat to the end of the leg. 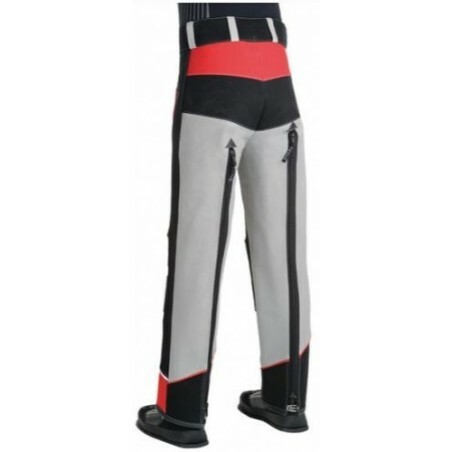 This makes the Standard Mix shooting trousers individually adjustable for all shooting positions.